Paul Wood introduces the development of the idea of an avant-garde. He looks at what it meant in the early twentieth century and also discuss some contemporary art historical views on the avant-garde. It is widely accepted that the radical avant-garde movements of the early twentieth century abjured beauty, thereby effecting a decisive break with the art of the past. Duchamp is accorded a leading role in this process insofar as he rejected the satisfactions of ‘retinal pleasure’ in favour of an art of ideas. This paper argues that although it is a mistake to assimilate the Readymades to traditional models of aesthetic appreciation, the physical properties of Duchamp’s chosen objects remain ‘integral’ to their meaning as works of art, which resides at least in part in the conflict or dissonance between their appearance and their artworld status. T.J. Demos discusses the form and function of ‘exile. in relation to the work of Duchamp, Man Ray, and Picabia, a term that both defines the experiential circumstances of Dadaist artists and inflects Dada’s aesthetico-political commitment. During the early twentieth-century, a period of expanding capitalism and catastrophic world war, each of these artists produced experimental objects that mobilize unconventional materials and spaces, formal constructions and linguistic formulations in ways that negotiated the experience of geographical and political dislocation. Demos examines the link between art and politics in relation to Dada’s aesthetics of exile. 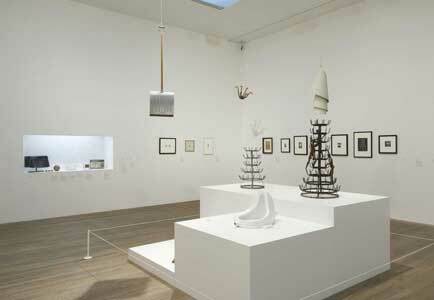 Jennifer Mundy, curator of Duchamp, Man Ray, Picabia, reflects on the exhibition, its making and its aims. Jennifer Mundy ed., Duchamp, Man Ray, Picabia, Tate Publishing, London 2008. Dave Beech links Picabia’s monster paintings to current artists such as Mark McGowan, Laura Oldfield Ford and Freee by drawing out a shared commitment to produce art that does without the privileges of cultural capital, taste, style and so on. Picabia’s critique of art – his anti-art – was a full-on philistinism (his version of avant-garde deskilling was an attack on taste as much as craft) even if it was mainly pictorial. Today artists pursue the challenge to art without restricting themselves to the pictorial or questions of style. McGowan uses outrageous performances to create controversy; Laura Oldfield Ford uses the formats of subcultural activism to put the artist in the thick of things; while the collective Freee use the technologies of the mass media to establish small counter-public spheres. Some of artist Richard DeDomenici’s work is so new that it seems rubbish at first. Join him as he tries to convince you otherwise. Using a variety of media including video, performance and photography, artist Carey Young uses found tools, language and training processes from the worlds of the multinational corporation and global law firm and diverts them into an artistic context from which she explores ideas of autonomy, duration, intimacy and dissent. In her talk she will discuss the corporate avant-garde’s hunger for ‘creativity’ and ‘revolutionary’ language and how she responds to these challenges within her own artistic work. In recent projects she has been ‘psychoanalysed’ in terms of her ability to remember corporate slogans concerning ‘creativity’, received motivational training to help present herself as a convincing revolutionary, offered a spoken portrait of a call centre worker, and presented legal contracts which bind the viewer to the artist for indefinite periods of time. Taking as its point of departure the major new exhibition Duchamp, Man Ray, Picabia, it looks at utopian beliefs in the power of art and culture to transform society, and explores differing approaches to the concept of a radical art. It includes discussion of collaborative and activist strategies, with contributions from art historians Paul Wood, T.J. Demos and Jason Gaiger from the Open University and Tate Modern curator Jennifer Mundy. Artists Dave Beech, Carey Young and Richard DeDomenici discuss their different approaches to the concept of the avant-garde in their work. This Study Day will be of particular interest to undergraduate and postgraduate students of modern and contemporary art, and those studying Open University courses AA318 (Themes in Contemporary Art), A216 (Art and its Histories) and the MA in Art History.